The speakers at the Conference included Penny Pritzker, U.S. Secretary of Commerce; Rodrigo Malmierca, Cuban Minister of Foreign Trade and Investment; Tom Vilsack, U.S. Secretary of Agriculture; Benjamin Rhodes, Assistant to the President and Deputy National Security Advisor for Strategic Communications and Speechwriting; and Andrea Gacki, Assistant Director, Compliance and Enforcement, Office of Foreign Asset Control, U.S. Department of Treasury. Here is a summary of their remarks. In her speech, Pritzker said that she and the U.S. delegation on their visit to Cuba last October learned more about how the Cuban economy works, including the rules and regulations that govern the import, export, and distribution of goods across the island. This information helped to guide the most recent (January 2016) U.S. regulatory changes regarding Cuba. Those new U.S. regulations created a general policy of approval of exports for purposes such as: disaster preparedness and relief, education, agricultural production, artistic endeavors, food processing, public transportation, Cuban civil society, enhanced communications on the island, and civil aviation safety. Those new regulations also provided that the Commerce Department’s Bureau of Industry and Security will now review on a case-by-case basis proposed exports from U.S. companies to Cuban state-owned enterprises and government entities to determine if the export will meet the needs of the Cuban people. We had learned in our visit that in Cuba – as in many of our other trading partners around the world – it is necessary to work with state-owned enterprises in order to support the local private sector. The corresponding new regulations from the U.S. Department of the Treasury permit financing for most authorized exports and travel authorizations. In sum, whether environmental goods, telecommunications equipment, or products that private sector entrepreneurs need, the U.S. government’s regulatory changes permit a wide variety of trade and commercial activities. However, if the U.S. is to truly maximize the benefits of our regulatory changes for the Cuban people, the Cuban government needs to make it easier for Cuban citizens to start their own businesses, purchase goods through wholesale markets, engage in external trade, secure credit, and access information online. These steps include making Cuban economic and business regulations publicly available; providing clear public guidance on the relevant government units and officials that are empowered to make decisions on potential transactions; and authorizing Cuban imports of U.S. products that are now allowed by U.S. regulations. The bilateral civil aviation agreement signed on February 16 is an example of what we have accomplished together. Malmierca asserted that President Obama has the legal authority to adopt additional regulations that would permit Cuba to use the U.S. Dollar in international financial transactions, authorize Cuban exports to the U.S. and allow U.S. companies to invest in other Cuban sectors besides telecommunications. The U.S. regulatory changes to date are positive, but they are not enough. For example, he said, since the December 2014 joint U.S.-Cuba announcement of normalization, six financial institutions have been fined nearly two billion dollars for trading with Cuba. These fines and the ban on the use of the U.S. Dollar have had serious negative effects on Cuba. The previous day (February 17), Malmierca led a Cuban delegation at a meeting with Secretary Pritzker and other officials of the U.S. Department of Commerce. On that occasion he made many of the same points just mentioned. He also pointed out that Cuba does not apply any coercive measures against U.S. companies or businesspeople and, in fact, welcomes them to do business on the island. This upcoming Congress will address the role of the market in the Cuban economy and the role of foreign investment in its economic development. This will seek to further consolidate changes adopted by Cuba before December 17, 2014, which are irreversible. “All the measures we are adopting, and which were sovereignly chosen long before December 17, 2014, . . . will also contribute to making the decisions we are making together more feasible,” he concluded. Secretary Vilsack also criticized the U.S. embargo (blockade), noting that it restricts opportunities for trade between Cuba and the U.S. One area of such negative impact was the U.S. helping Cuba’s organic and urban farming practices. The U.S. Agriculture Department is looking to identify business opportunities through a fund to which several U.S. agricultural companies voluntarily contribute. This fund, however, cannot use federal resources to explore business opportunities with the island, as is common practice, thus obstructing U.S. companies’ access to the Cuban market. Although a U.S. law in 2000 authorized sales of agricultural products to Cuba, it required Cuba to pay in cash in advance, which has had a severe negative impact on such U.S. exports. Gacki was unable to identify the specific law which prohibits Cuba’s use of the U.S. Dollar in international transactions, but said the Treasury Department currently was investigating whether there were other executive measures President Obama could adopt to reduce the adverse impacts on Cuba of restrictions on its use of the U.S. Dollar. Rhodes confirmed that Obama still has broad executive powers to make further and more substantial modifications to the U.S. embargo (blockade) policy. Rhodes said that while the embargo policy may have had relevance in the past, the island is changing as are opinions of some Cuban-Americans. In addition, the increased numbers of Americans visiting Cuba are seeing why the embargo should be ended. The Obama Administration, he added, is reviewing other potential regulatory changes that could be made within the existing legal framework.Thus, he believed it is possible to do more before the end of this administration to generate the necessary momentum to definitively end the embargo. The Consortium’s Advisory Board is co-chaired by Senators Nancy Kassebaum Baker and Tom Daschle and includes Dr. Michael Adams, Lon Augustenborg, Richard Blum, Sheila Burke, Tomas Diaz de la Rubia, Senator Byron Dorgan, Rodney Ferguson, Senator Bill Frist, Dr. Helene Gayle, Maurice Greenberg, Senator Bob Kerrey, Linda Klein, Fred Malek, Janet Napolitano, Thomas Ross, Senator Olympia Snowe, The Honorable Ellen Tauscher, Bill Weldon, and Rob Wilder. The Consortium was organized by the Howard Baker Forum, which was founded by former Senator Howard Baker to provide a platform for examining specific, immediate, critical issues affecting the nation’s progress at home and its relations abroad under a philosophy of reasoned consensus, founded upon an agreed set of facts. The Consortium and its conference join the U.S. Agricultural Coalition for Cuba and Engage Cuba as important bipartisan U.S. efforts to promote U.S.-Cuba reconciliation. I applaud all of their efforts. 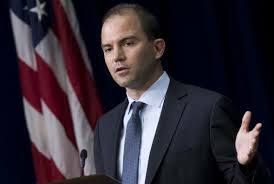 The previously mentioned Benjamin Rhodes also issued a similar statement that also reviewed the various steps towards normalization since December 17, 2014.
announce further steps in the process of resolving U.S. claims against Cuba for expropriation of property owned by U.S. persons without compensation. Gomez, Rapprochement moving forward, Granma (Feb. 22, 2016). Amazingly a 2/23/16 Google search of “Cuba Consortium” did not reveal any U.S. media coverage of this Conference. 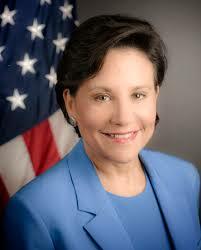 Secretary Pritzker’s speech was on the website of the U.S. Treasury Department. Gomez, Malmierca: Obama has support to continue dismantling the blockade, Granma (Feb. 18, 2016). On January 26, the U.S. Departments of the Treasury and Commerce released additional amendments to regulations regarding export payment and financing and airline travel with Cuba that will be effective on January 27. The changes will authorize financial transactions regarding professional meetings, disaster preparedness, information and informational materials and professional media or artistic productions in Cuba. Other changes will allow U.S. airlines to have blocked space, code-sharing and leasing arrangements with Cuban airlines. Reuters, U.S. Eases Air Travel, Export Financing Sanctions on Cuba, N.Y. Times (Jan. 26, 2016); U.S. Treasury Dep’t, Treasury and Commerce Announce Further Amendments to the Cuba Sanctions Regulations (Jan. 26, 2016).